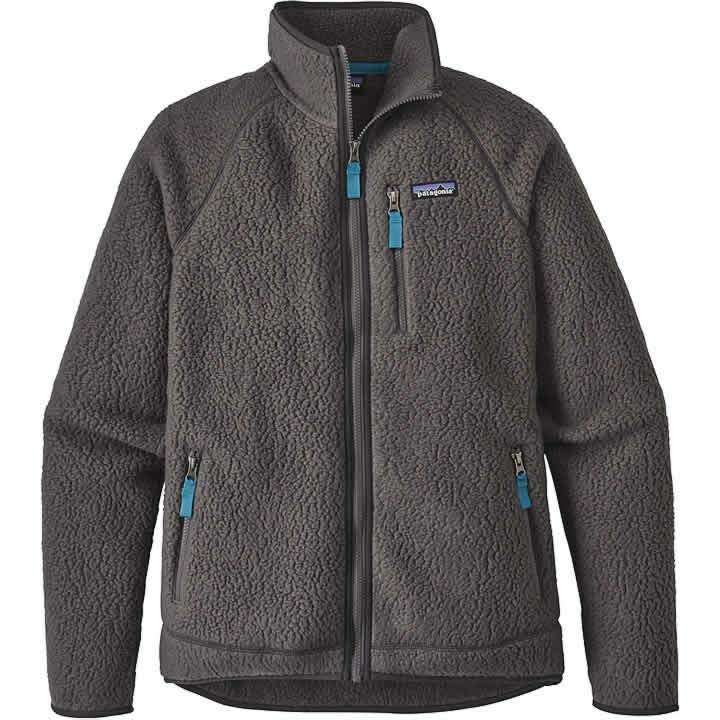 Made from double-sided shearling fleece, Retro Pile fabric provides easy-wearing warmth for any cool-weather venture, thanks to a soft, fuzzy exterior and a smooth, skin-friendly interior. The Retro Pile Jacket's full-zip design has a zip-through stand-up collar for heat-trapping comfort and raglan sleeves that allow full mobility and compatibility with pack straps. Flat-seam construction throughout the jacket reduces bulk and helps minimize seam chafe. A zippered left-chest pocket and two zippered hand pockets give you a place for the daily necessities and come equipped with webbing zipper pulls. Soft spandex trim finishes the cuffs and hem. It's also Fair Trade Certified™ sewn, which means the people who made it earned a premium for their labor.